How to Purchase a Mobile Home in the USA? A Mobile home a very easy to get in the USA state, in rural areas especially. And you can also get a good deal on one of them if you find efficiently. Purchasing a Mobile home is not so complicated as buying a house. 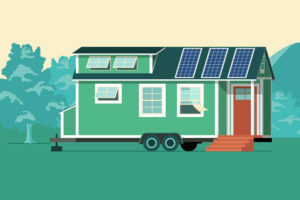 You should have seen the place first where you are going to park your Mobile home because once you have purchased the Mobile home, it’s a little bit complicated to find a legal place to put it. So you should have to make the arrangements to buy or rent a place on which your mobile home is going to sits on. If you see, there are more complex regulations in the placement of the mobile home as compared to buy it. Get required permits from the local government that has jurisdiction of where the mobile home is going to be placed. You’ll need a building permit if there is some minor construction work for setting the mobile home on a concrete slab. Or if you are wondering to have your mobile home in a Park then you have to obtain an occupancy permit for parking your mobile home in a Park. 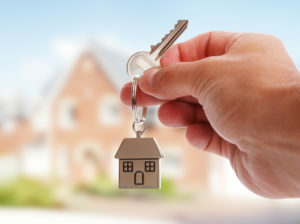 But before getting your place where you are going to put your mobile home, you’ll need proof that the mobile home is made as per the guidelines of U.S. Department of Housing and Urban Development standards. For this, you’ll have to see a HUD seal or plate which will be located somewhere on the mobile home. As per the United States, Department of Housing and Urban Development municipalities can prohibit mobile homes that don’t have HUD seals. Hence it’s a crucial to have a look before buying a Mobile home. You just need to see a seal which is made by HUD, and it should be visible in the mobile home clearly. After paying required amount of sales tax to the Sale Tax Department and get the certificate of title fee from the Department of Motor Vehicles. As per the Guidelines from Department of Motor Vehicles, documents of title are necessary on manufactured mobile homes built after January 1, 1995, that are at least 40 feet long, 8 feet wide and cover at least 320 sq ft when placed on a site. 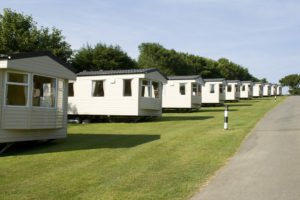 Sales taxes are only collected on new mobile homes, which is payable at the time of delivery of the Mobile Home. I had always been scared to go to house agents due to the fact of the money they charge me for even my basic problems but also the way they made the whole process more cumbersome by involving third party agents. But here at Mobile home Agents I was able to save most of my time and as well as good money. Copyright © 2019 Mobile Home Sales Agents. All Rights Reserved.